You might think ping pong is just hitting a lightweight ball back and forth across a table using small bats, but when your pride is on the line, it’s much more important than that! 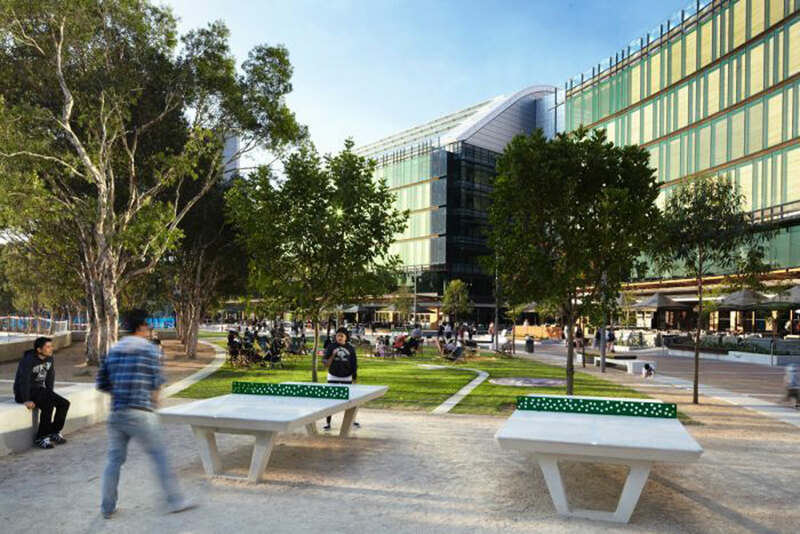 At Darling Quarter we have two permanent ping pong tables available free of charge to the general public, seven days a week. Start a lunchtime tournament with your workmates, or challenge the kids to a more casual game on the weekend. You may not have the skills of an Olympian but you can still get a whole lot of enjoyment from this sport that originated in Victorian England, where it was played among the upper-class as an after-dinner parlour game. Nowadays you don’t need to be wealthy or fancy to enjoy this fast-paced leisure time fun – you just need to bring your own bats and balls, and your rapid-fire reactions to make it ‘Game. Set. Match’ against your opponents and be crowned the King or Queen of the table.